Botanical gardens are man made beautiful gardens that holds wide varieties of plant species like ferns, conifers and flowering plants which are displayed for research and education purpose. India includes many attractive botanical gardens that are rich with trees and filled with greenery that offers amazing experience in visiting them. Most of them are run by universities or other scientific research organizations that holds wide ranges of species ranging from regular to rare ones that are documented for study and research and thereby they care about the rare species conservation and sustainability. Many botanical gardens located in India offer visitor services like tours, art exhibitions, book rooms, open air theatrical and musical performances along with other entertainment services that refreshes the busy minds. Following are the list of Best Botanical Gardens in India that stands as the best tourist centers. 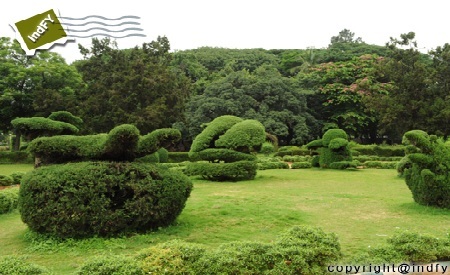 Governmanet Botanical Garden in ooty is one among the Famous Botanical Gardens in India. It is maintained by the Horticulture department of Tamilnadu Government and hosts wide range of plant species that spread across 22 hectares in 6 parts. 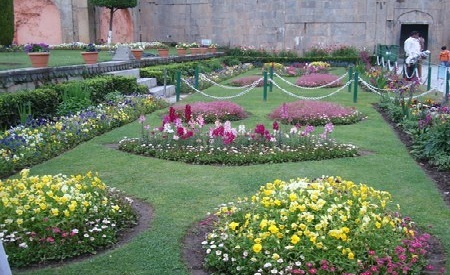 It holds a largest rose garden in India which includes more than 300 varieties. It includes wide range of shrubs, trees, exotic plant species along with bonsai varieties. Garden also includes Cork tree, paper bark tree and a monkey puzzle in the garden which attracts the kids. Fossil tree trunk is a 20 year old one that stands as a major attraction in the garden. It offers amazing experience to the visitors during evenings with the cool breeze in the beautiful garden. Address: National Highway 7A, Maravanmadam, Tamil Nadu-628101. 4. 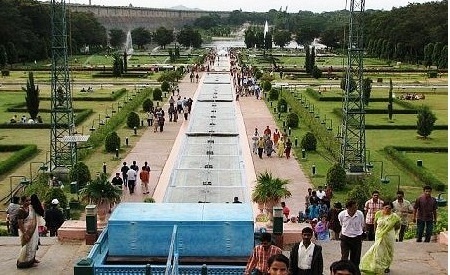 Brindavan garden, Karnataka: It is one of the famous and oldest botanical garden in India which was built across the river Kaveri. Garden spread across 60acres and the fruit orchid spreads across 75 acres. It is the best tourist spot in India that welcomes 2 millions of visitors every year. It also includes fountains, ficus trees, foliage plants and many other flowering plants along with them garden is decorated with the sculptures of animals created by clipping the shrubs. Musical fountain is the center of attraction for the garden and even boating facility is offered in the lake for the visitors that offers excellent view. Address: KDS Dam road, Krishna raja sagar dam, Mandya, Karnataka-570005, krishnarajasagara, Karnataka, Karnataka 571607. 3. 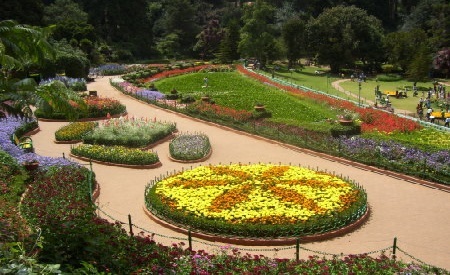 Lal bagh, Bangalore: It is located in the heart of the city that hosts India’s largest collection of tropical plants. It is one of the main tourist attractions that spread over 45 acres in the city and also hosts an aquarium and a lake inside the garden. Lal bagh garden flower show is very famous that is offered on republic day every year that holds wide range of beautiful flowers. It was started by Sultan Hyder ali and his son Tippu sultan that includes wide range of plant collection that looks like mughal architecture in combination with modern artistic touch that offers royal style. Garden holds wide range of plant species ranging from the rare ones to routine ones that offer beautiful view. 2. Agri Horticultural Society, Kolkata: It was founded in 1820 by William Carey that holds flower gardens and green houses with wide range of collection of different species of plants and flowers. It also holds rare collection of the medicinal plants which holds vital medicinal properties that are useful in treating many diseases. Annual flower shower is organized in the garden every year that offers pleasing scent of hundreds of seasonal flowers, vegetables, medicinal herbs, wide range of foliage plants, cacti and bonsai plants along with wide range of other species. 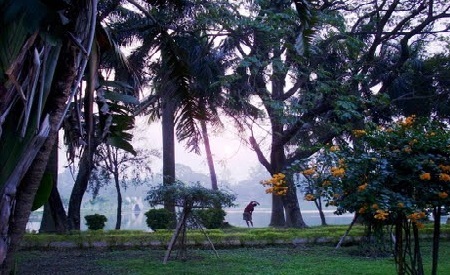 1.Indian Botanical Garden, Kolkata: It is located in Shivpur, Howrah in west Bengal and is one of the best botanical garden in India that holds wide range of plant species ranging from the rare ones to the routine plants. Previously this was called as East India Company’s garden or Company bargan but later it was changed as Royal botanical garden prior to independence. From 1950 it was named as Indian botanical garden that was included under the management of the botanical survey of India. It holds more than 12000 trees and shrubs belonging to different species. Great Banyan tree is the landmark of the garden which is considered as the largest tree in the world and stands as major attraction to the garden. Charak udyan is the medicinal plant garden that holds wide range of medicinal plants in the garden. Address: B.G Road, Shibpur, Howrah, West Bengal-711103.